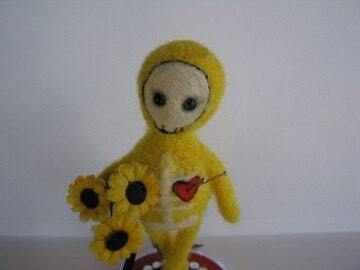 Elton is a needle felted soft sculpture voodoo doll made of wool. He was done in bold basic colors to be graphic and have a traditional "Dia De Los Muertos" feel with modern tattoo culture influence. needlefeltingdecember1 016 on Flickr - Photo Sharing! Edward on Flickr - Photo Sharing!